ECO function for maintaining the temperature and saving on the bill. The power cord is not too long. 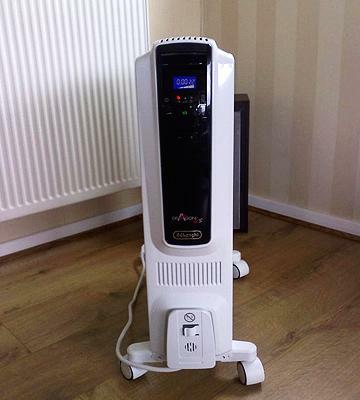 High-functional De'Longhi Dragon 4 TRDS4 1025E oil heater is an ultimate solution for heating up pretty large rooms. Currently available in 2500 W and 2000 W configurations. Comes with a wireless remote to control every function. The power button is on the side of the heater. 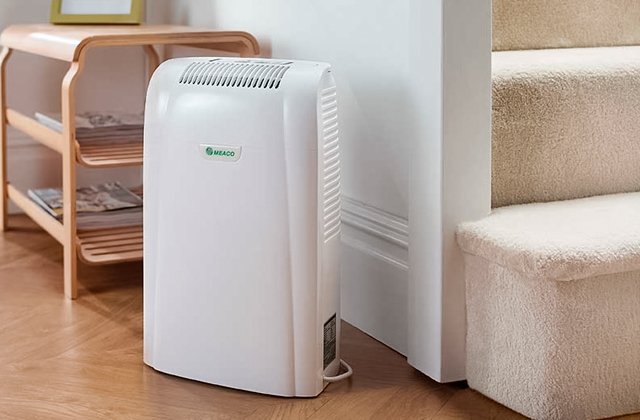 Jack Stonehouse oil filled radiator is designed for extra-large rooms and boasts bright display and wireless remote for the ease of use. The appliance comes equipped with 4 castor wheels and an ergonomic handle, so transporting it won't cause any issues. 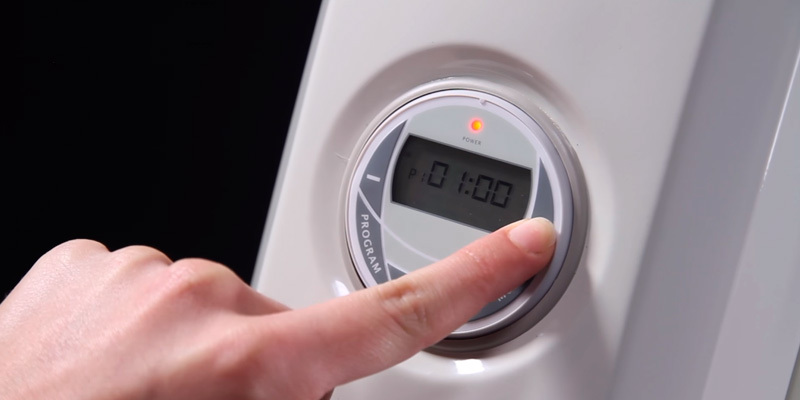 The thermal cut-off function will allow you to cut the energy costs. The heating process has a distinct clicking sound. 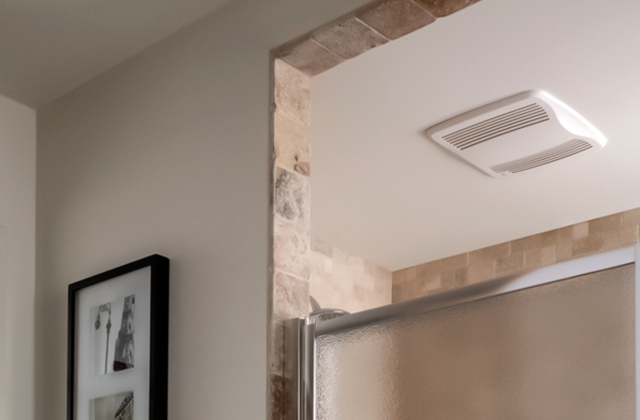 An 11-fin oil radiator from VonHaus disperses the heat across the room evenly: the array of temperature settings available will make your winter life as comfortable as ever. 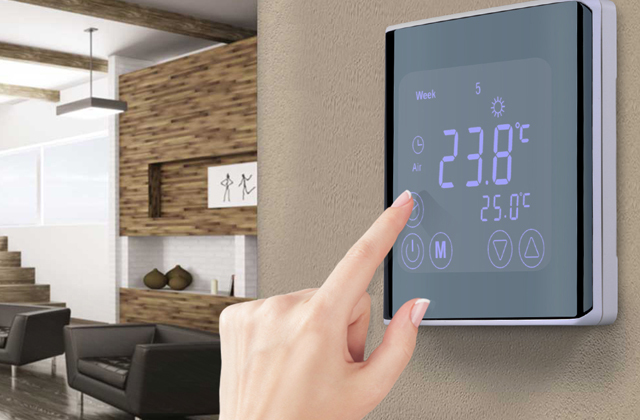 Intuitive user controls for changing the temperature and heat modes. 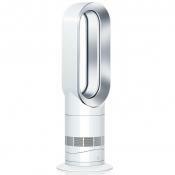 Sometimes produces noise when the maximum temperature is reached. This 1500 W Fine Elements oil filled heater is a perfect match for average-sized rooms or small greenhouses. 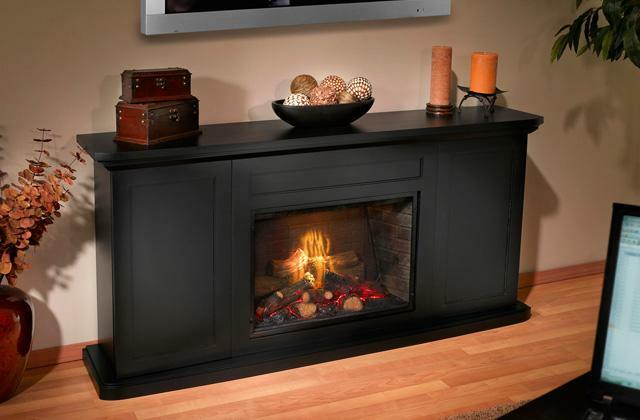 The company's very own fin design creates a clever balance between radiant and convected heat. 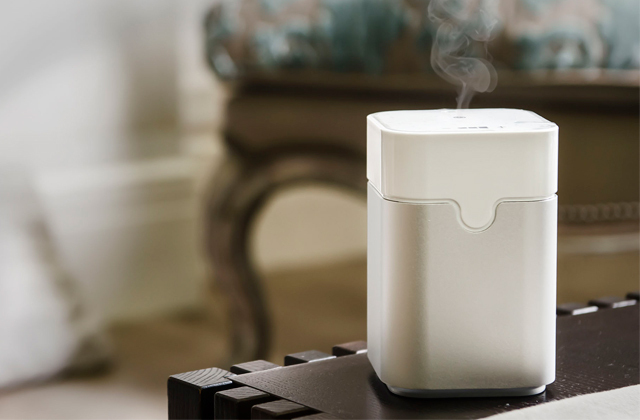 It heats up 30% faster and uses around 10% less energy than oil-filled heaters. The wheels aren't that easy to maneouvre. The Dimplex OFRC20TiN is a pretty great heater. Though it has its flaws, the model is kind to the environment. It doesn't disappoint on the performance front. The neutral white finish makes for a good look, so you could put this unit in any room in your place and it won't unnecessarily stand out. 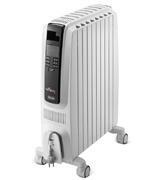 This De’Longhi Dragon 4 TRDS4 1025E oil filled heater boasts an exceptional combination of beautiful style and reliable performance. At one side, it has a cool-looking black panel with different controls. Power-wise, there are 3 different modes at 2500 W, 1400 W, and 1100 W and the thermostat for temperature adjustments. 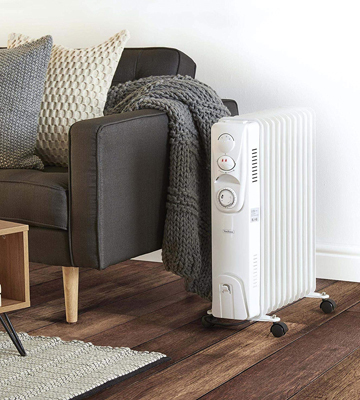 With ECO function being on, the heater automatically turns off when the desired ambient temperature has been reached and kicks back in when it detects that the room has chilled down a bit, making it very appealing in terms of electricity saving. If you own a small cottage or live in a building that doesn't have a central boiler, you are gonna love the Antifreeze mode. When it's on, the De'Longhi Dragon4 maintains the room temperature at 5° C to minimise energy consumption. Furthermore, there's a special keyboard lock that works as a kid safety feature. It may also come in handy against colleagues or family members who like to meddle with the temperature settings when you go out of the room. 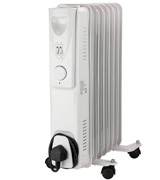 Jack Stonehouse Radiator is a 12-fin oil heater that has a warming personality. Firstly, the temperature settings range from 5° to 35° C. You can employ it for really large rooms. However, if you need it for smaller spaces, there are 2 more power modes to choose from. The controls are simple: there's a large LED display with 3 buttons and a thermostat knob below it. The cherry on the cake, though, is the included wireless remote that provides access to all the same functions. Imagine, you can lazily turn it off and on without getting out of your chair or bed, which is purely awesome. 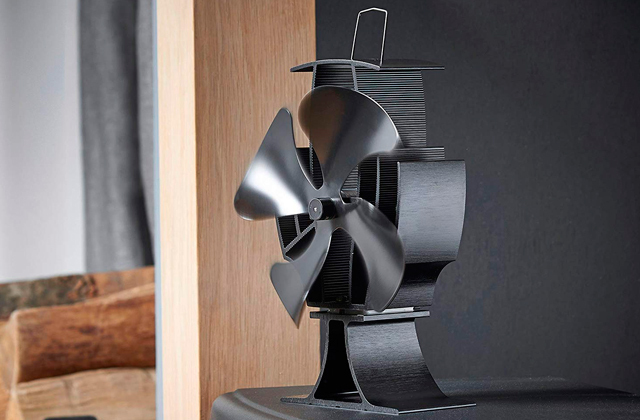 The heater stands on 4 small 360° rotating wheels, so moving it from one room to another isn't an issue at all. As a little extra safety feature, this heater has one major advantage over many other electric models - the tip-over protection. If it somehow falls down on its side, it will turn itself off automatically. 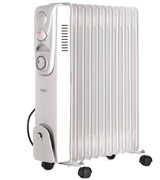 Overall, this is a decent heater that can warm you up during cold autumn evenings or long winter nights. An 11-fin oil radiator model from VonHaus has all it takes to be one of the top picks in the medium price range. The device has a pretty impressive array of safety features that will definitely come in handy at some point. The tip-off safety switch will turn the device off in case it accidentally falls on the floor. 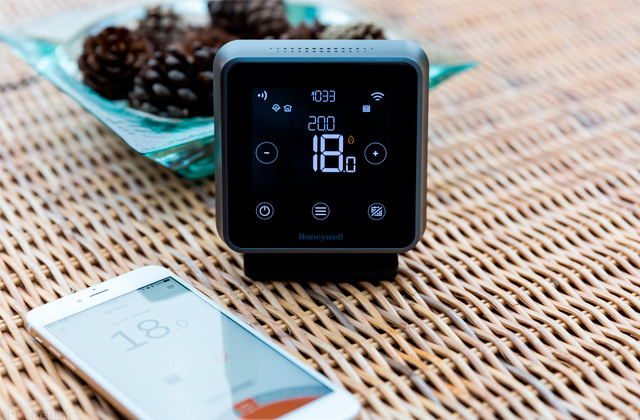 Alternatively, the automatic thermal protection will switch the device off if it reaches a dangerously high temperature. On top of that, the heater has an adjustable thermostat that you can manually set up in order to conserve the electricity. Handy if you want the heater working overnight. Turning to the heat settings, the unit has 3 dials and a few switches that together allow for a full control of the climate in your house. The 3 heat settings (1000W, 1500W, and 2500W respectively) provide you with enough choice what heat level to choose when you feel chilly. 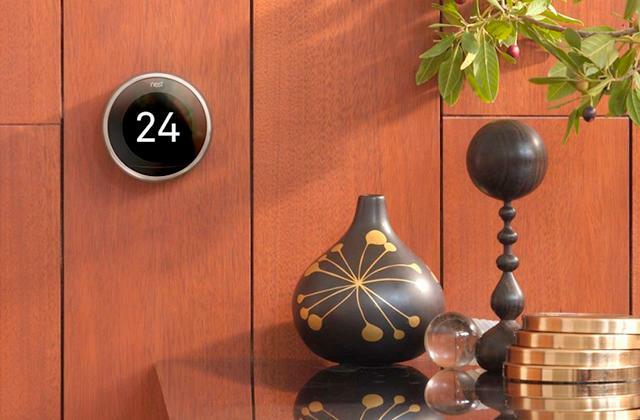 You can choose the desired temperature in just a few clicks using a temperature dial on the side of the heater. 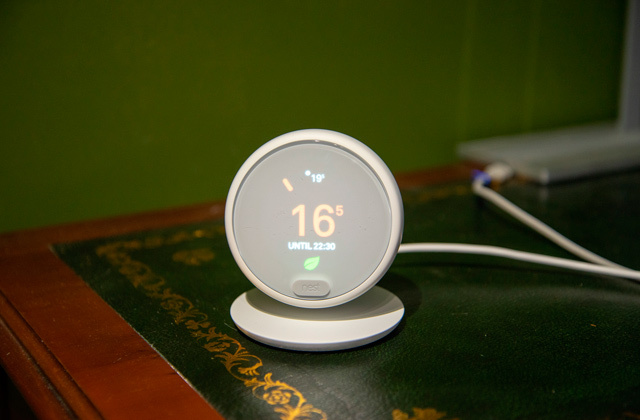 Alternatively, you can tinker with a thermostat and as a result, the heater will automatically turn on and off to keep the temperature in the room stable. While the thermostat will help you save up on the electricity bill, the 11 fins of the device will help you save the time needed. For your convenience, the radiator has a 24-hour timer. With this handy feature at your disposal, you can set the device to automatically turn itself on and off at a specific time of day. On top of that, the unit has a special mechanical device that "remembers" the settings so you don't need to adjust them every use. When the heater turns off, it makes a distinct clicking sound that some customers may find a little annoying at first. Still, this sound isn't as loud as in some budget models so even if you place it in your bedroom it won't wake you up in your sleep. Nitty-gritty aside, the heater has all usability features an appliance like this is expected to have. It comes with castor wheels, a convenient handle, and a power cable compartment where you can safely store a 1.5 m cable when you don't need the device. The only inconvenience is that this heater has only one side handle, which can be a bummer if you happen to grab it on the other end without a handle. However, this is a minor gripe given all other features and the overall quality of the heater. 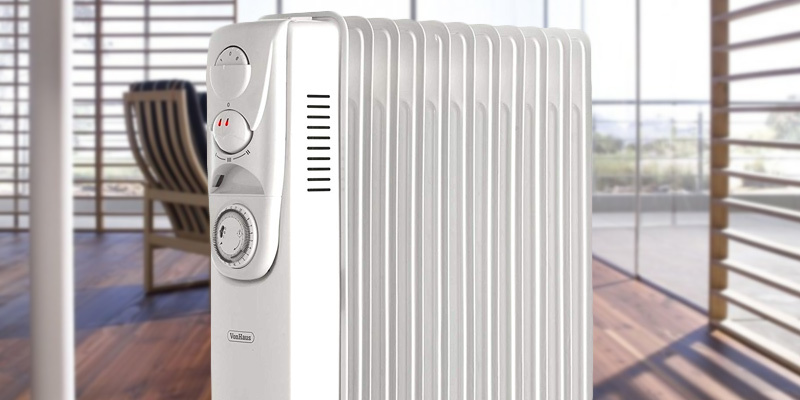 All in all, the VonHaus 2514047 will be a suitable choice for any small to medium rooms and land you a helping hand if your central heating doesn't work as well as it should do. There are huge, clunky radiators. There are small ineffective space heaters. And then, there is this Fine Elements oil radiator. It's lovably compact, cost-efficient and comparatively powerful. The controls are simplistic: two tumbler switches to control the heat levels and a temperature thermostat. The design features 4 wheels and a stay-cool handle for moving it around the house. As for the cable, we recommend coiling it on a special hook in the bottom part when you don't use it. Also, check out if the cable doesn't touch the radiator fins until they cool down to avoid accidents. We want to point out that this model has no display, so you might want to buy a thermometer to check out the temperature in your room. Overall, this Fine Elements oil heater can be a genuine solution for average-sized bedrooms or even small greenhouses, as it has an overheating auto-off function. There are a few things to like about the Dimplex OFRC20TiN. First of all, technically speaking, it is an oil-free radiator. And this type of radiator has plenty of advantages over its oil-filled counterpart, most of which are present in this product. 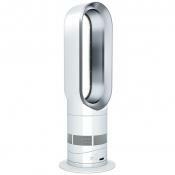 For instance, a heater like that can offer up to a 9% energy saving compared to oil-filled models. You could also talk about the smaller carbon footprint of these heaters and the fact that they don't have any special recycling requirements. Of course, some of these characteristics are dependant on the specific model. 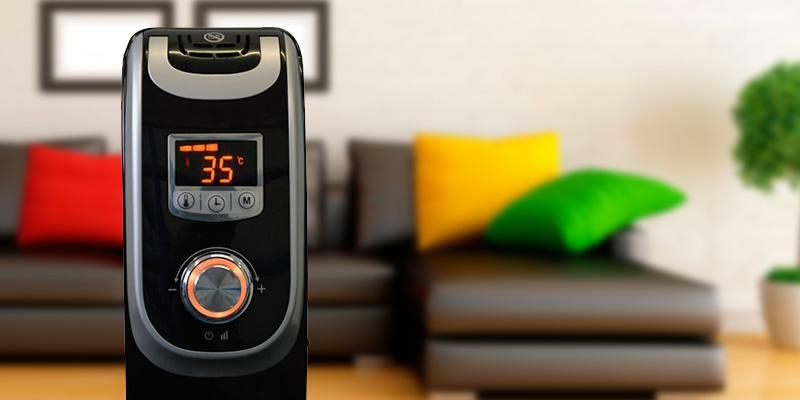 Most oil-free heaters tend to be lighter but the product in question weighs 9.8 kilograms, which isn't a lot but there are oil-filled units that weigh less than that. That said, it does make up for it with the company's own fin design that creates a clever balance between radiant and convected heat. The 24-hour programmable timer is a nice touch too. Sure, it's nothing we haven't seen before, but the timer makes it a lot easier to control the operating times, so you don't end up wasting your money on unnecessary energy spendings. As per usual, you get 2 heating modes to choose from and an adjustable thermostat. The said thermostat does include a frost setting though, something that you won't see in most oil heaters. For the most part, the Dimplex OFRC20TiN is a pretty great heater. Though it has its flaws, the model is kind to the environment. It doesn't disappoint on the performance front. The neutral white finish makes for a good look, so you could place this unit in any room in your place and it won't unnecessarily stand out. 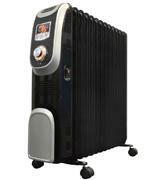 What Is an Oil Heater? 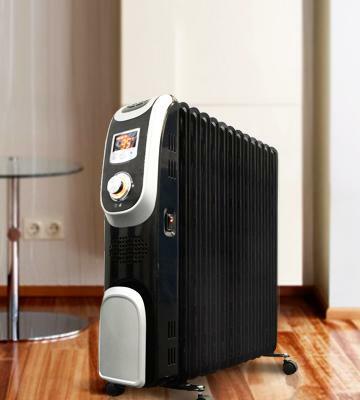 During the cold season, a good electric oil heater is a worthy investment that will help you create a comfortable indoor climate. The oil heaters are characterised by their ease of use, light weight, and almost noise-free operation. 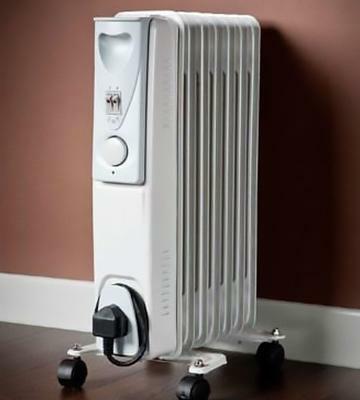 An oil heater looks like a traditional radiator. 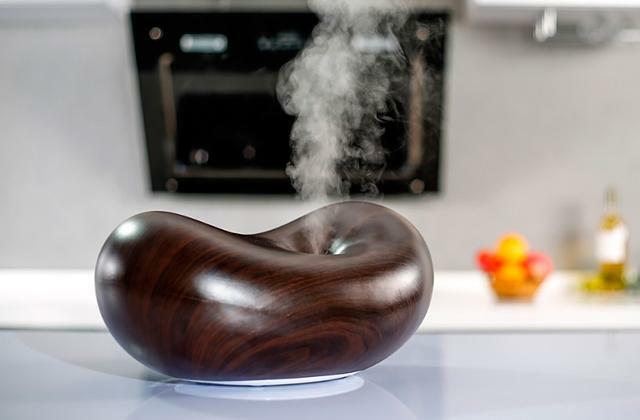 The way it works is as follows: once the device is plugged in, a heating element inside begins transferring heat to the mineral oil, thus heating the radiator surface which, in its turn, releases heat into the room. 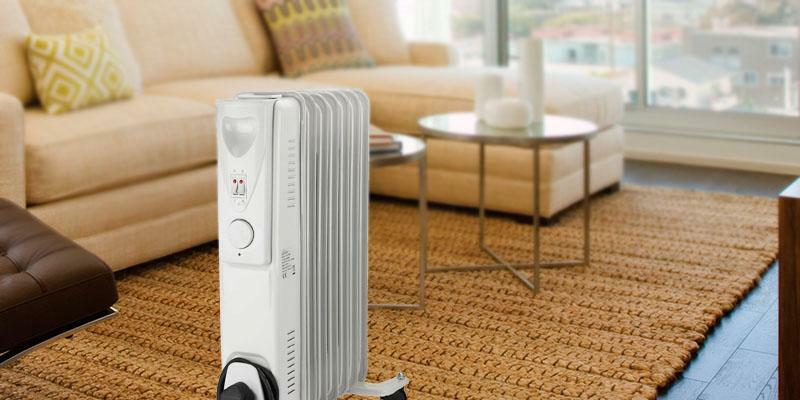 Such space heaters can reach the maximum surface temperature of 65° C. So, it goes without saying that safety rules must be observed when using the device. That said, most oil heaters include the necessary safety mechanisms, so you won't have to worry about that much. If you'd like to improve your home conditions and add more cosiness to the interior of your living room, consider our selection of lava lamps that can help settle a special atmosphere all year around. While if you're more interested in heating appliances do not skimp on reading about space heaters. These are bigger in size and more powerful and thus perfectly suited for heating large areas and even patios. 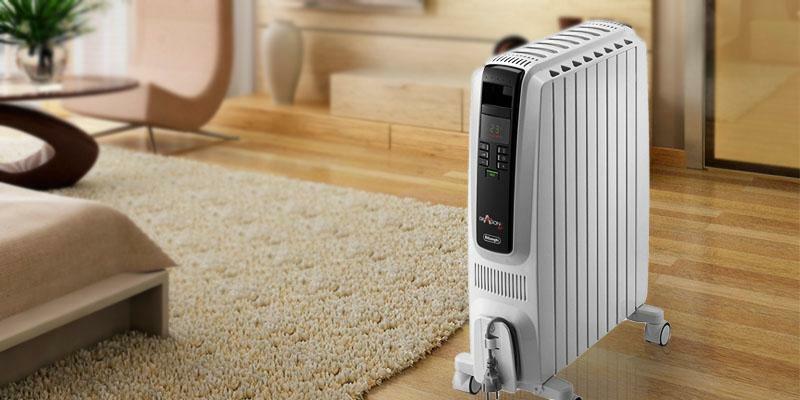 The first thing you should pay attention to when selecting an oil heater is the power, which is particularly important when it comes to the room space you need to warm. For heating a small area of 10 m2, it's better to choose a model with the power of 1000 Watts. If the heated area ranges from 14 to 19 m2, it's advisable to consider models with the power of 1500 Watts at least. If the premise is 29 m2 and more, it's better to buy a more powerful heater or maybe even a couple. You should keep in mind that the number of fins is also important and can tell you about the heating potential. The more fins there are in a heater, the more heat it will generate without overheating. 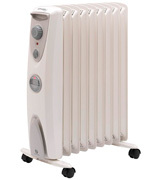 For warming up areas of about 19 m2, the heater should have 5-7 fins. After you've decided on the coverage area, it's time to consider the controls. In this respect, take notice of the On/Off programmable timer availability. The timer prevents energy overuse as it provides an operation within the pre-set time. 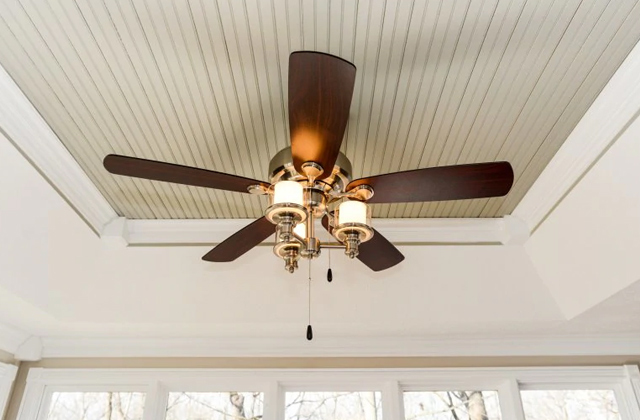 The models with a digital display are designed to provide ease of operation, while a variety of heating modes allow you to select the optimal indoor temperature. Usability is another essential aspect you should bear in mind. Quite often, heaters are moved from one room to another, and this is where wheel casters are important. Also, you've got to think of the unit dimensions and weight to find a convenient place for it. Yet, take into account that the more compact a unit is, the less power it generates, hence, heating smaller areas. When using oil-heaters, safety is definitely a matter of great importance. Since oil-filled radiators can reach up to 200°F, make sure they are not placed close to the high inflammable furniture surfaces. Currently, oil heaters feature an overheat protection (thermal cutoff) and some models even have a tip-over switch. 1. 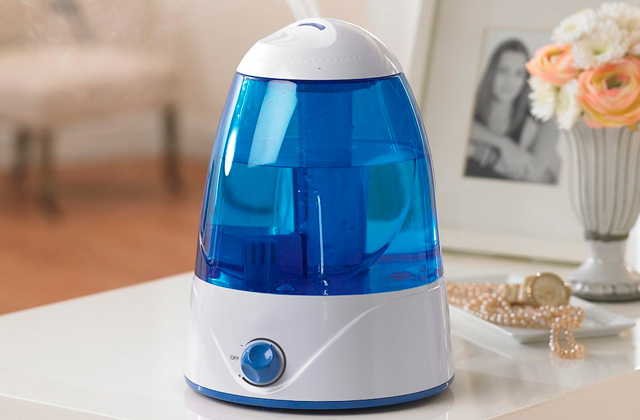 Choosing a Room Heater to Fit Your Lifestyle in 3 Easy Steps, Air-N-Water. 2. Oil heater, Wikipedia. February 2, 2017. 3. 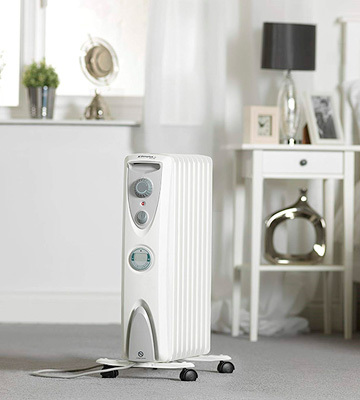 Oli McKean How to Buy the Best Electric Heater, Which? 4. Information on Using Oil-Filled Heaters, SF Gate. 5. Your Guide to Heating, Briscoes.